The Kindred Group, a large, international online gambling company, is going to court against a Norwegian regulator. The subsidiary of the company that made the decision to do so is accusing the regulator of unjustly blocking their app and payment systems, and preventing them from providing gambling services in the country. The company believes such actions from the regulator to be unjust and, supported by the rest of the Kindred Group, will be pursuing legal action against it. The suit has been filed against the Lotteritilsynet in the Oslo City Court. The Lotteritilsynet is a subsidiary of the ministry of culture of Norway and a response is being expected from them in the nearest future. Though it is unclear what stance the ministry will be taking at this time, a spokesperson from them has said that the ministry is working on the case and will be providing a response soon enough. The citizens of Norway are permitted to gamble online, but only with state-owned companies that have been licensed within the country, which there are two of. The Norwegian government has been trying to push out any private organizations from the country by denying them licenses. Still, Norwegian citizens persist in their attempts to gable with private, international companies. Indeed there is little to no restriction to whether they would be able to do this or not. 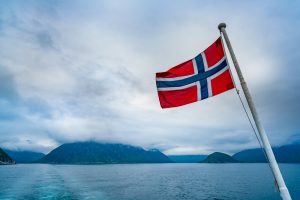 In their attempt to stop Norwegian citizens from gambling with international companies, the government has been attempting to restrict their presence within the country. This is being done by blocking the apps or payments systems offered by these international companies. This has been viewed as unjust by the Kindred Group, who have decided to take the case to court. According to the legal representative from the Kindred Group subsidiary, they believe this to be unjust. The companies that are being engaged by the Norwegian citizens are based outside of the country, where Norway has no authority over them. Blocking Norwegian citizens from accessing these websites and their services, including apps and payments systems, is unjust and a violation of the citizens’ and the company’s rights. According to them, citizens should be free to access any service they wish to access, even if the Norwegian regulator is unable to or refuses to provide licensing to such companies. The year 2018 has been marked by the Norwegian government doing their best to restrict all unlicensed companies from the market. They are rolling out regulation which will block financial transactions to such companies in the future. It seems that the previous agreement with Apple to remove any unlicensed gambling apps from the Norwegian app store has not been sufficient from preventing citizens from gambling with international companies. It is interesting what the outcome of this lawsuit will be, as the results might determine the future of the Norwegian online gambling industry. If the Lotteritilsynet is proven wrong, this might set precedent for other international gambling companies in the region to try and emulate.